I use a MacBook Pro and I’ve been buying new versions of it ever since it was released. This is because it is great for editing photos and videos which is my line of work. I bought the most powerful MacBook Pro available but I’m noticing that it’s kind of slowing down. They said I should clear application cache to speed my Mac up. How do I do this? Here's how to clear the application cache on your Mac. Part II: What Is Cache? Have you noticed that your Mac device is becoming too slow? Are you in the middle of a task and your Mac completely freezes out? Some people experience a very slow Mac device and this can be very frustrating. Although Mac devices are very powerful computers, they can sometimes slow down because of a variety of reasons. One reason for a slow Mac device is the use of too much memory. Another is a full storage space. When there are a few spaces on your hard disk, this means there is less space allocated for performing tasks efficiently. And one of the biggest culprits of a fully occupied hard disk is the adding up of cache. 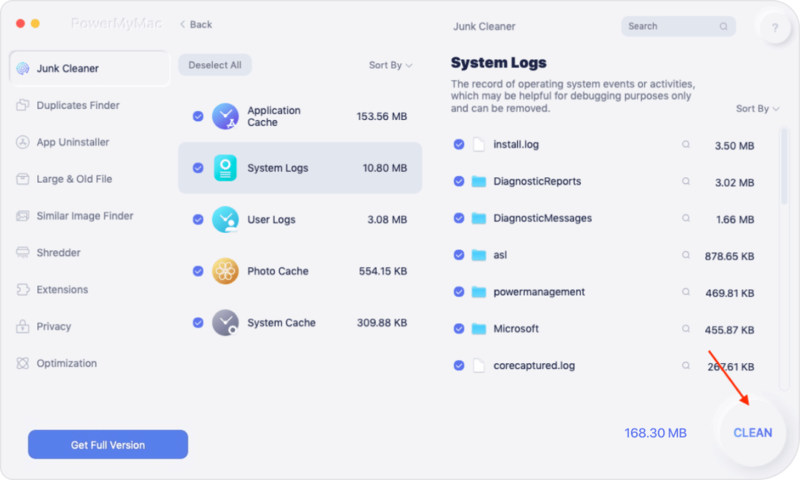 So what is this cache and how does it affect your Mac device? To give you a better user experience, cache files are put into storage by your system and its applications. Browser stores cache files too. The said cache files can be of various types such as images, documents, videos, etc. And they are stored in order for processes to speed up. One example would be the browser Safari. It downloads and saves images on a particular web page you visit and stores it as the cache. In this way, the next time you visit that specific page, you don’t have to re-download the images all over again. It makes the process faster. After some period of time, cache files increase in size significantly. Although cache files are actually temporary and they can be deleted, most people forget to actually remove them. That’s why cache files take up a significant part of your hard disk drive and it leads to the slowing of your Mac device. Cache files include application cache, system cache, library cache, browser cache, and a whole lot more. Different types of the operating system store their cache in various different folders of the computer. However, the macOS puts cache files inside the cache location. The primary use of cache is to enhance the experience of the user. However, the build-up of these cache files can result in a full disk drive. They are relatively small in size. However, if it takes too long for you to delete these cache files they can grow considerably larger. When this happens, your system is left to use a little amount of space in order to operate. Thus, the smooth performance of your Mac device is affected. Thus, to ensure that you regularly have a great user experience on your Mac device, it is important for you to remove cache often. The Mac device is relatively difficult to clean compared to others. This is because destination folders can be found under multiple folders and files. Thus, if you do not have the knowledge to use your Mac, you might be wondering how to clean the cache properly. Download the tool from the official website of the software. Step 01 - Go to File folder. Step 02 - Visit the Go menu. Step 03 - Choose Go To Folder. Step 05 - Press Enter. Step 06 - Visit every folder that is displayed and delete each and every file contained within it. It is recommended that you remove the contents of the folder and not delete the folder itself. It is important to note that user caches contain important data. Some users stated that errors occurred in opening system applications and files after removing the user cache. Thus, it is important for you to create a backup in order to be able to restore it in case something happens. Step 06 - Select every file by pressing Ctrl + A. Step 07 - Copy all of these files and folders. Step 08 - Go back to the Library. Step 09 - Create a new folder and label it User Cache. Step 10 - Copy all the data you have selected before into this folder. System cache is composed of files put into storage by system applications that are running in the background of your Mac operating system. App cache is composed of downloaded media files of applications that are there to make it operate faster. It is also composed of temporary download files, system thumbnails, etc. Although these files are very useful for the app, they can take up a large amount of space and it is necessary to clean them up. In order to clean up App cache, you simply have to type out the ~/Library/Caches using the steps stated above. After which, you should find the folder with the app’s name within it. Delete all the files contained in this folder. It is important to remember that it is not safe to clean app cache manually. Essential data are contained within the app cache folders. Thus, it is best to back up the data first before actually deleting it. You may simply delete the backup at one point in time when you think the deleted app cache is not causing harm to the app. One type of your system cache, DNS Cache, are actually old cache entries that serve to translate domain names (e.g. websitename.com) towards IP addresses. When you clean your DNS cache regularly, you make sure that you have uninterrupted connection towards a variety of websites. There are different methods for cleaning your DNS cache for different versions of the Mac OS. Step 01 - Go to Spotlight. Step 02 - Type Terminal in order to launch the Terminal. Step 04 - Input your administrator password in order to finish the job. One of the most popular pastimes is surfing the net. Plus, it has become a major source of income for a lot of people. However, as you move from site to site and page to page, the activity you do all add up to the size of the browser cache. Browser cache consists of data from websites such as scripts, images, etc. This is to ensure that your browsing experience becomes faster. The next time you visit a site you have previously visited, some data is loaded from the browser cache instead of the Internet. When you clean your browser cache you are doing yourself two things. First, you’re freeing up more space on your hard disk drive (or solid state drive). Second, you’re protecting your privacy cause your browser history is wiped out. Plus, it even helps you avoid errors such as 402 and 502, among others. These errors are often the result of a corrupted browser cache. Each type of browser stores their cache differently. Thus, cleaning the cache takes different steps for different browsers. Chrome’s cache can be found in Settings. Step 01 - Press the Options icon. This can be found in the Chrome browser’s top-right corner. Step 02 - Select Settings. Step 03 - On the left side menu, select More Tools. Step 05 - Select the following options only: Cached images, caches files, browsing history. Step 01 - Go to History menu. Step 02 - Choose Clear Recent History. Step 03 - Find the drop-down menu that contains the time range. Step 04 - Select your desired time range. Or in order to remove all cache, choose Everything. Step 05 - Press the down arrow next to the label Details. Step 06 - Select Cache only. Step 07 - Press Clear Now. Step 08 - Exit the browser. Step 09 - Reopen the browser. Step 01 - Go to the top menu. Step 02 - Select Safari. Step 03 - Press Preferences. Step 04 - Select Advanced Tab. Step 05 - Activate the showing of Develop menu within the menu bar. Step 06 - Visit Develop located within the menu bar. Step 07 - Select Empty Caches. Step 08 - Close Safari. Step 09 - Reopen Safari again. It is also recommended for you to clean DNS cache in order to speed up the process of clearing up your cache. 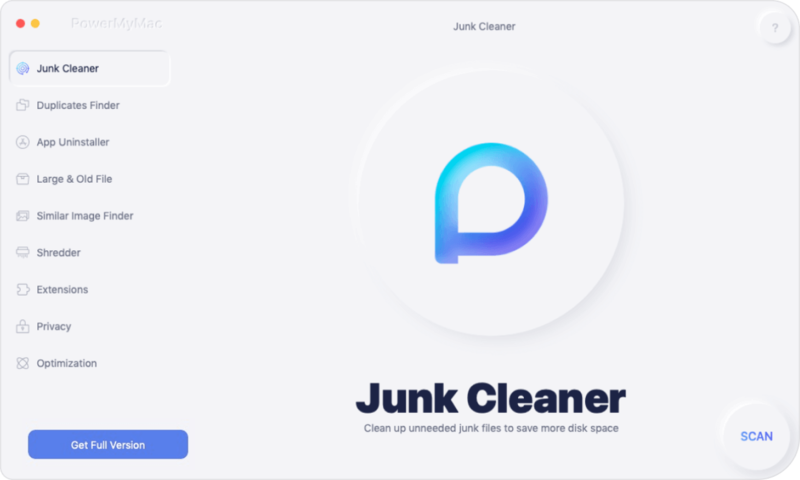 It is also suggested that you delete or empty the Trash after the cleanup process. In order to delete Trash, hit Ctrl + Click upon the Trash icon. After which, choose Empty Trash. After these steps, you must also reboot your Mac device for a total overhaul. This results in the Mac device formulating new cache files. Manually deleting junk files is a very time consuming tasks. Plus it is not that safe. Important files that are crucial to the system and its applications can be deleted. Plus, it takes up a lot of your effort as well. That’s why we recommend a tool for you to do this. Cache files are important in speeding up the performance of your Mac device. But they can’t be corrupted and they can take too much of your space. That’s why it is recommended for you to clean them up. You can do this manually or you can do this with a tool called iMyMac’s Mac Cleaner. The choice is up to you. 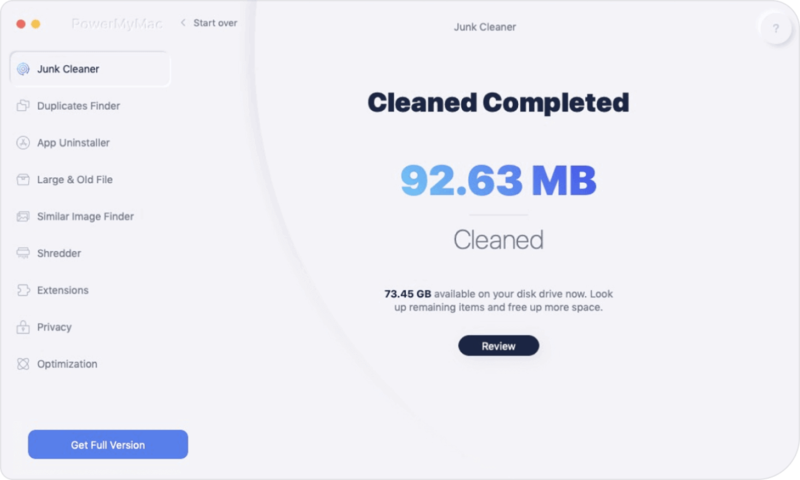 / Mac Cleaner / How to Clear Application Cache on Mac?